Challenge achieved! 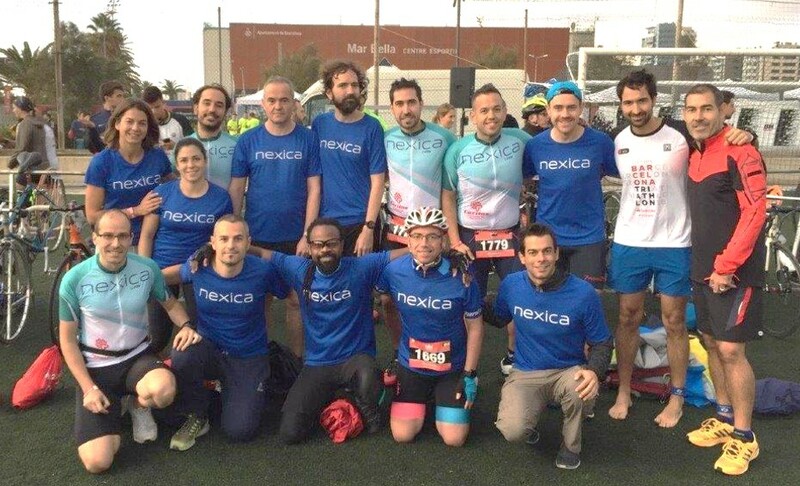 After six editions and for Càritas Diocesana de Barcelona, Nexica has participated in the Barcelona Triathlon 2018 in October, 7, with a total of seven relay teams of three people (swimmer, cyclist and runner). Nexica wants to help people in situations of vulnerability, poverty or social exclusion. You still can contribute in the fundraising campaign here: https://www.migranodearena.org/reto/18878/nexica-triathlon-solidaria-2018. To encourage donations and show their support, Nexica will contribute with more than a thousand of euro, a donation that was already announced in the IV Nexica Main Event, last June. The goal is to reach 1,500 euros this year 2018. Do you join the challenge? All help is welcome. Nexica & Barcelona Triathlon 2018. Supporting Càritas.